APRIL is the official month for "autism acceptance" (also known as "autism awareness.") With how many diagnoses there currently are, I am sure you know a family who has been affected by this disorder. 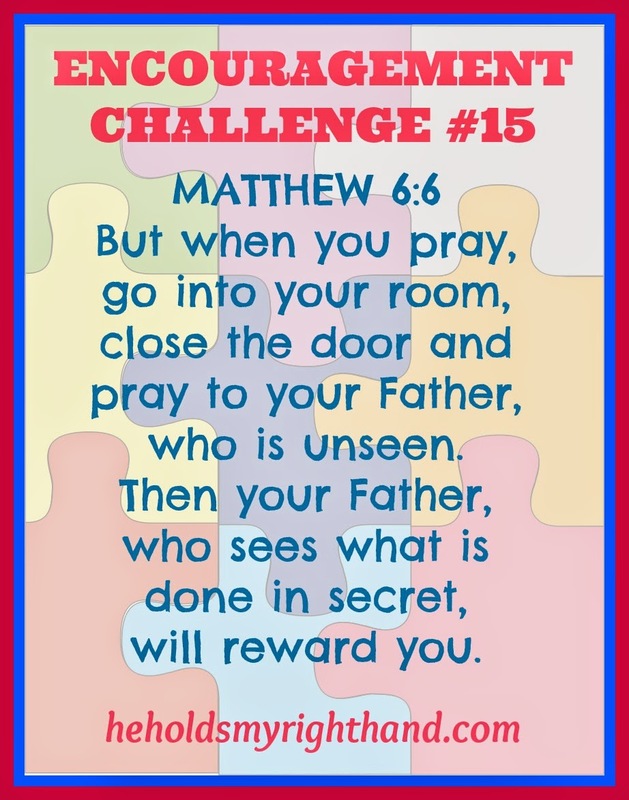 Each April, Jack and Rebecca Systema, the founders of a ministry called CHILDREN OF DESTINY, host a prayer challenge called TURNING THE TIDE FOR AUTISM. It is already April 12th, but you can start the challenge at any time. Take a look at the calendar each day this week, look up the Scripture reference listed, then follow the recommendations for prayer. If you feel led, it would be great if you would continue on to the end of April. Let's all pray for a definite cause to be found, a definite cure, peace for those who are learning to cope with a new diagnosis, and strength for those who are struggling. AUTISM SOCIETY OF AMERICA - Why Autism Acceptance?